Protech Foam is a strong alkaline foam cleaning agent especially developed for cleaning of smoke chambers and smoke trolleys. Its qualities are adapted for an efficient removal of tar and soot which can arise during the process by a modern smoke technique. Automatic washing system for smoke- and cooking chamber’s. The CIP system is controlled from the chambers microprocessor which makes it possible to wash unattended. The equipment consists of a central pump, buffer tank for water and dosage pump for detergent. Nozzles placed in the whole chamber guarantee an efficient cleaning where no manual washing is needed. The smoke stick washer is designed to wash sticks, slaughter hooks and all other small metal tools used in the food processing. 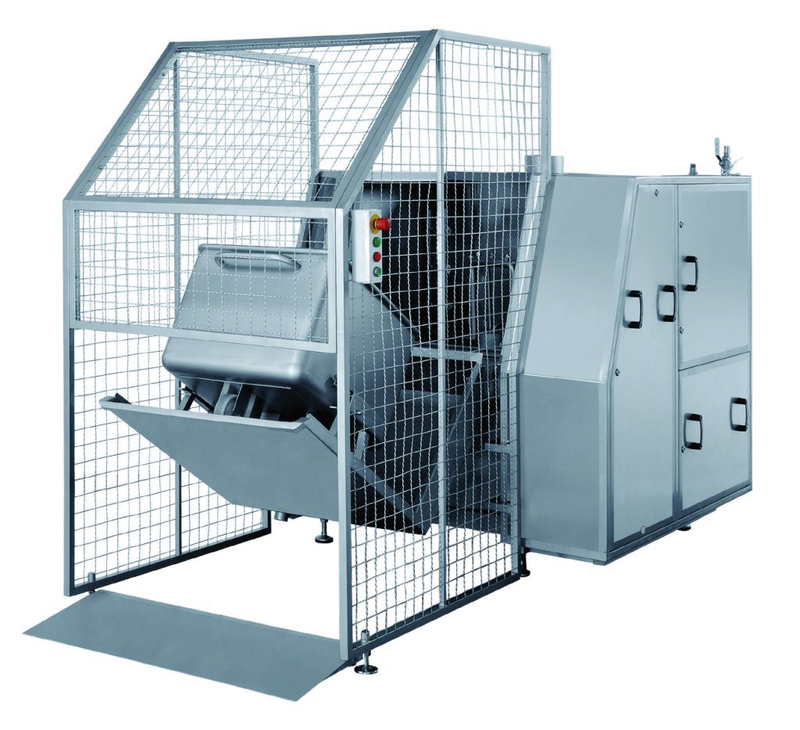 The washer has a compact drum construction giving an exceptional persistence of the machine and optimum washing condition. The container washer is designed to wash all kinds of plastic containers. It is a tunnel construction and gives optimal washing effects. The machine is also available in a modular version. Download product facts about Cleaning.